Until now, no country had recognized Israel’s act of plunder in the Golan Heights. Following the Six Day war in 1967, Israel expelled 130,000 Syrians from the Golan Heights. 14 years later, in 1981, Israel annexed the territory – in violation of international law. The United Nations member states, including the U.S., immediately declared Israeli efforts to change the Golan Height’s status “null and void.” A small population of Syrian Druze are the only survivors of that ethnic cleansing operation. We recently saw this unfold when Trump issued his Jerusalem decree to recognize the city as the Israeli capital, which goes against the international community’s consensus of Jerusalem as a final status issue in negotiations and, again, violates international law. While the U.S. Embassy was moving from Tel Aviv to Jerusalem on May 15, Israeli snipers were massacring 60 Palestinians protesters in the Great March of Return at the Gaza fence. This is not the first time we have seen U.S. foreign policy and Israeli settler-colonial enterprise interfered with the international community’s consensus on Palestinian-Israeli affairs. The Jerusalem Basic Law of 1980 and the Jerusalem Embassy Act of 1995 were highly controversial because of their timing and their political and legal implications, according to Michael Zank, a professor at Boston University. Both laws were enacted during times when the international coalition was making progress with the Palestinian-Israeli peace negotiations. U.S. President Jimmy Carter and Egyptian President Anwar al-Sadat had signed the Camp David Accords, a peace treaty with Israel and Egypt in 1979; consequently, the Jerusalem Basic Law endangered the peace process and negatively impacted the ongoing negotiations. The Jerusalem Embassy Act was signed into law shortly after the Oslo Accords were concluded and greatly affected the final status negotiations between Israel and the Palestinian Authority that were held at Camp David in 2000. Both these legislative acts created a binding relationship between Israel and the U.S which ultimately changed the status quo. As the International Jewish Anti-Zionist Network noted in their report, Israel’s Worldwide Role in Repression, in the 1970s, Israel armed the brutal military regime of the Argentinian junta that imposed seven years of state terrorism on the population. Israel also provided most of the arms that Nicaraguan dictator Anastasio “Tachito” Somoza used in the last year of his dictatorship to oppose the revolution, a conflict that killed tens of thousands of Nicaraguans in the 1970s. By the 2000s, the Israeli military-industrial complex had produced an industry capable of competing in small-arms and high-end security technology on a worldwide scale. Israel started to export arms that have been refined through high-technology colonial policing of the Palestinian population, especially in the Gaza Strip and the West Bank. In recent years, Israel has risen to one of the top 10 arms exporters in the world. The Obama administration adjustments to Israel’s military aid package came amidst a shifting geopolitical environment, both within the U.S. and Israel. 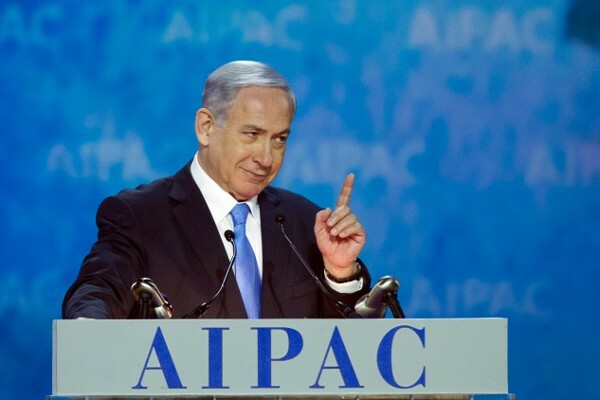 There was a shift in original MOU that would slowly phase out the provisions through which Israel could spend up to 26% of its funding package within Israel, to Israel spending more of this funding on the advanced military capabilities that only the United States can provide – as much as $1.2 billion per year, according to Ajl. In addition, this MOU locked in $500 million annually for missile defense.The MOU mandates Israel update its fighter aircraft fleet, which is a directinvestment into the U.S. military-industrial complex, given that fighter-jet factories are exclusively based in the United States. The firm establishment of Israel’s military defense industry also provides an excuse to sell ever-more-sophisticated weapons to other regional U.S. allies, especially Saudi Arabia. As long as Israel has the latest U.S. technology, other countries can buy older models, again to the great profit of the U.S. defense industry. Israel thus is the spark plug for an entire region-wide weapons bazaar, while also providing such countries the means to destroy and dismantle even poorer countries like Yemen. This keeps the entire region aflame, oppressed and desperate, and thus unlikely to upset hierarchical regional and international social structures. Ajl suggests that one of reasons the United States pushed through this MOU before Obama left office is the rising discontent within the U.S. population over ongoing support for Israeli colonization of historic Palestine and the surrounding region. During the Bush administration, from 2001 to 2005, Israel had actually received more in U.S. military aid than it has in U.S. arms deliveries. Over this time period, Israel received $10.5 billion in FMF – the Pentagon’s biggest military aid program – and $6.3 billion in U.S. arms deliveries. According to Berrigan, the most prominent of those deals was a $4.5 billion sale of 102 Lockheed Martin F-16s to Israel. Unlike other countries, Israel receives its Economic Support Funds in one lump sum early in the fiscal year rather than in four quarterly installments. While other countries primarily deal with the Department of Defense when arranging to purchase military hardware from U.S. companies, Israel deals directly with U.S. companies for the vast majority of its military purchases in the United States. Other countries have a $100,000 minimum purchase amount per contract, but Israel is allowed to purchase military items for far less, according to Berrigan. U.S. aid is projected to further increase to $165 billion by the end of the new 10-year package, in 2029, according to Charles D. Freilich, a former Israeli deputy national security adviser. U.S. aid constitutes some 3% of Israel’s total state budget and about 1% of its GDP, a highly significant sum. Moreover, U.S. aid constitutes some 20% of the total defense budget, 40% of the budget of the Israel Defense Forces, and almost the entire procurement budget, according to Freilich. The United States is Israel’s largest trading partner, at least partially due to their bilateral free trade agreement, the first the United States signed with any country. Prime Minister Netanyahu has vowed to annex Israeli settlements in the West Bank if he is re-elected, which will likely be considered as the final blow to the so called possibility of a two-state solution. The Trump administration is expected to announce his “ultimate deal” following the Israeli elections and after a new government is formed.